So many topics have presented themselves of late. 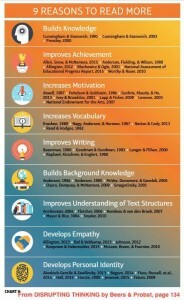 However, I have spent most of my time either working on the book Donalyn Miller and I are writing or reading tons of new books for some upcoming PD sessions I will be doing in June. So, I have let some things slide for now. Rest assured that I will tackle them as time permits. But this graph keeps popping up in my Facebook feed, and so I feel the need to talk about false equivalencies. 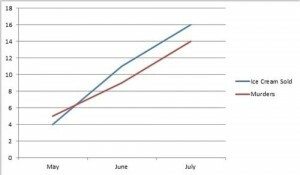 The chart is, in actuality, a sales pitch for a children's book (no surprise there, right?). But look closely at what it implies to the folks scanning through their feed. First, it equates length with quality. This false equivalency makes me nuts. I spent lots of time doing book talks in schools over the years. 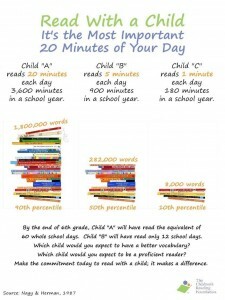 From time to time, a teacher would ask me to suggest books for kids that were longer than X number of pages (generally it is more than 200 though why that number is something that escapes me). Let me state this clearly: LENGTH DOES NOT EQUAL QUALITY or even rigor or even superior. But there is more to this notion of false equivalency in this chart. 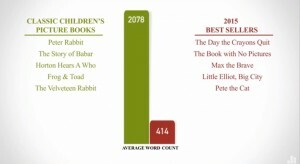 The chart compares classics such as The Velveteen Rabbit, Peter Rabbit, and Frog and Toad to contemporary books that are actually picture books. Most of the classic titles are NOT picture books. Perhaps someone purporting to write better picture books than Little. Elliot needs to do a bit more research about the qualities of picture books. And then there is the word count issue. Do more words mean better books? How does that correlate at all? Here are a couple of correlations that are about as nonsensical as the concept that number of words somehow equates with better books. Apparently, people who are interested in calligraphy differ in their fart preference from the rest of the population. Sales of ice cream correlates with the number of murders. As we approach summer, does that mean the murder rate will rise as well? Of course, this is all silly, right? But when a post targets with false equivalency or when a company promotes its product with data that is misleading at best, then we diminish data and research. I'm looking squarely at you, AR. Let me finish with some real data that should inform our practices. Here is a perfect and important chart from DISRUPTING THINKING from Beers and Probst. Note the research included in the graphic, please. Let's call out false equivalencies when we find them. Let's be clear about word counts and page counts and other things that are not equivalent to literary quality.